Massive year-on-year value gains can be witnessed across Australia’s real estate market, as new sales data begins to reveal the true extent of property price growth experienced in 2015. Median house prices in at least one suburb in every state and territory but for the ACT grew by more than 40 per cent in the 12 months to October 2015, according to the latest CoreLogic RP Data. Leading the charge is the NSW suburb of Brewarrina, located in the state’s north west. The median house price in the tiny town of 1,300 people grew by 50 per cent over 12 months, to sit at a current figure of $123,750. The northern Wollongong suburb of Wombarra was the second highest-growing suburb in the country, with house prices recording growth of 49.88 per cent to sit on a current median price of $1,259,000. While NSW made up the bulk of the 41 high-growth suburbs – eight of which achieved growth above 45 per cent – suburbs in other states and the Northern Territory returned equally impressive figures. Ripponlea, in Melbourne’s south-east, recorded growth of 48.69 per cent based on a median house price of $1.42 million. House prices in Murchison, a small village 40 kilometres from Shepparton, grew by 45.61 per cent to $215,500. Queensland was the state to record the second highest number of suburbs growing in excess of 40 per cent over 12 months – with six suburbs meeting the mark. Harlaxton was the state’s best performer, unit prices growing by 44.55 per cent to $305,000. Other top performers included Coolangatta, with house price growth of 43.68 per cent, and Brookwater, with unit price growth of 43.15 per cent. In South Australia, the Yorke Peninsula town of Stansbury returned the best performance. House prices there grew by 47.83 per cent to $340,000. The median house price in Albany, Western Australia, grew to $730,000 – a 45.27 per cent increase that secured its spot as that state’s highest growth suburb. Bayview in the Northern Territory recorded median house price growth of 46.07 per cent to sit on a current figure of $1,152,500. The town of Strahan – on Tasmania’s west coast – recorded a median house price of $245,000, representing a 44.12 per cent spike. The only jurisdiction to miss out on recording growth in excess of 40 per cent was the ACT. It’s highest growth suburb was Wright, on 37.77 per cent. To see more results, visit our Best Suburbs section. 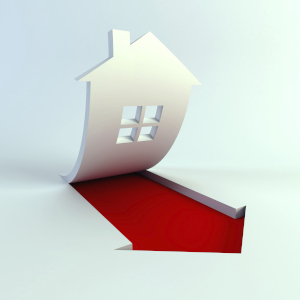 What does 2016 have in store for property investors? Is apartment living the new normal?